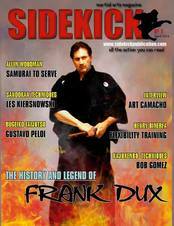 Grandmaster Les Kiersnowski started his martial arts adventure in Europe at age 7. He started with fencing and Kyokushin, which he continued to age 14 achieving his black belt in the Kyokushin System. At that time he moved to the United States. Once settled, he extensively trained in the Kyokushin karate system travelling between Philadelphia and New York. Next, he began his studies in the art of Judo. While training, Grandmaster Les travelled up and down the east coast competing in any invitational open competitions he was able to attend and be a part of. Through travelling and meeting several Masters and Grandmasters he was introduced to Ed Parker’s art of Kenpo. Thus began his training and studies in that system. While training in Kenpo he continued to travel through the United States attending all the camps and seminars on Ed Parker’s Kenpo that he could find. At this time he was introduced to Professor Remy Presas and his Modern Arnis System in which he fell in love with right away. So he began training in both systems. During his training in Kenpo and Modern Arnis, Grandmaster Les Kiersnowski was introduced to the great bladed art of Bando. During his travels, for many years teaching and training, he continued in the three arts and began extensive research in human anatomy, physics and kinesiology and the angles of movement. So he began to develop his own system of Sandokan. After spending countless hours and many years the Sandokan System was born. ​To this day, Grandmaster Les Kiersnowski travels, teaches and still learns to better himself and his system. Today Sandokan System is a sought after art by many that are training in live blade art as well as law enforcement and military personnel. Sandokan System is taught and propagated in several different countries such as Canada, Poland, Germany, Switzerland, Brazil and in various schools in the United States under SANDOKAN INTERNATIONAL FEDERATION. Grandmaster Les Kiersnowski has his own line of weapons, which were designed by him for the Sandokan System by using physics, anatomy and geometry. The Sandokan designed weapons fit any art because of their exceptional maneuverability and the angles of cutting edge design. 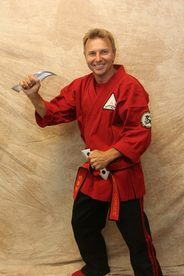 Grandmaster Les Kiersnowski is considered one of the foremost authorities in bladed weapon combat. He is the founder and 10th degree black belt in the Sandokan Martial Arts System. He holds a total of 6 black belts from a variety of Karate styles, which include Judo, Kenpo, Kyokushin, Bando, and Modern Arnis. Grandmaster Les is a member of NAFMA (North American Federation of Martial Arts) and holds a seat on the Board of Directors. He is also a member of IMAF (International Modern Arnis Federation) in the United States and Philippines. He is an affiliate of the Philippine Indigenous Games and Sports Savers Association, Inc. (PIGSSAI) and as such he is recognized and authorized to promote the various Philippine indigenous games and sports, particularly the Filipino Martial Art of Arnis. 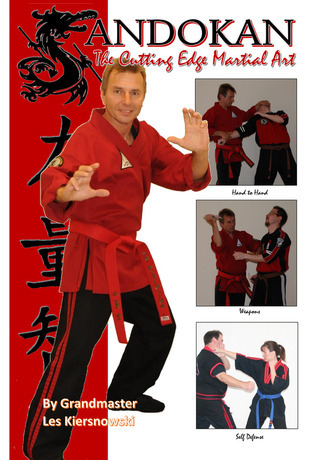 He has been certified by the International Federation of Martial Arts as an International Referee. Grandmaster Les Kiersnowski has been appointed as the head coach of the Arnis Division for the US National Karate Team, who were victorious in the 2006 and 2007 World Cup. His outstanding winning competition team: Team Sandokan were National Champions in 2008 and 2009. He was inducted into NAFMA Black Belt Hall of Fame in 2006 and World Karate Union Hall of Fame and the ICKO Hall of Fame in 2007. 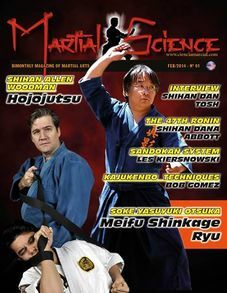 ​​ In 2009, he was inducted into the Action Martial Arts Magazine Hall of Honors for Outstanding Contribution to Martial Arts and in January 2010, Grandmaster Les was inducted into the Action Martial Arts Magazine Hall of Honors as an Ambassador to the Martial Arts. Next, he earned a Lifetime Achievement Award in July, 2010 and was recognized by Colonel Lisa McManus, Grandmaster and Founder of Military Arnis. In 2011 Grandmaster Les Kiersnowski was awarded as Martial Arts Founder of the Year for Sandokan by the United Federation of Martial Artists. ​In 2012 Grandmaster Les was inducted into the USA Martial Arts Hall of Fame as a Progressive Martial Arts Master of the Year​. ​In 2013 he was inducted into the World Karate Union Hall of Fame as a Golden LifetimeAchievement Award in June, Then on August 10th, 2013 USA Hall of Heroes inducted GM Les as Master of the Year. Also in August of 2013, GM Les was awarded the Sports Karate Museum Dragon Image Fighting Award in Texas, USA for long and dedicated service to the martial arts. The Worldwide Martial Arts Council recognized Grandmaster Les Kiersnowski as a Grandmaster of the Martial Arts in San Diego, CA on October 1st, 2013. In Cleveland, Ohio on October 12, 2013 GM Les was inducted by the International Circle of Masters as a Sandokan Grandmaster of the Year. 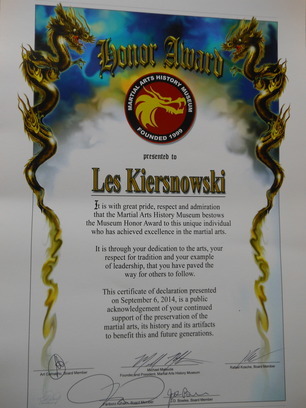 On 9/6/14 Grandmaster Les Kiersnowski ​​ has received the Martial Arts History Museum Honors Award for being a pioneer of the arts.